Services – Chris Moore, interior Design, custom home interiors. Chris designs interiors for a variety styles, whether they be contemporary, traditional, or eclectic. She begins with discussing and understanding the wants and needs of her clients while collaborating with architects in the layout and schematic phase of the project. During the architectural design phase, she drafts interior elevations, which aid in the bid and construction phases, as well as for the client's use and understanding. She also draws dimensioned details to communicate her designs to the contractor and craftspersons. Chris designs for the whole residence, including casework for kitchens, baths, in-house libraries, offices, wine and screening rooms, as well as custom furniture. Specifying finishes is included in the services provided, including flooring and other surface materials, lighting and plumbing fixtures. 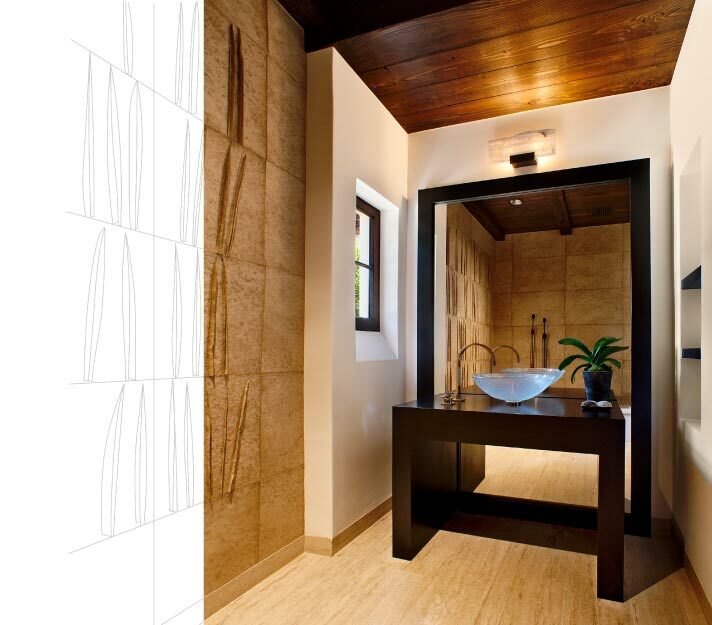 Chris also purchases and designs for the furnishing of the spaces in order to complete the overall look of the project. Her designs are tasteful and sophisticated, executed with an artistic eye.